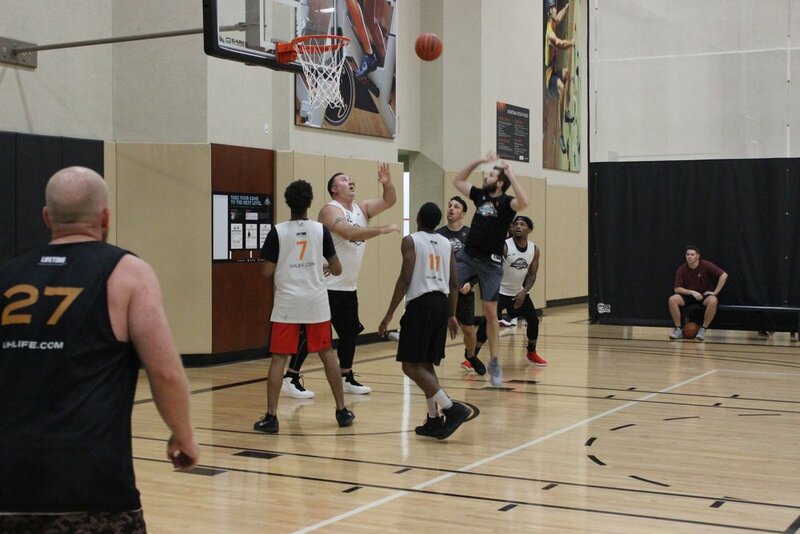 Ultimate Hoops - Can Big Lazo and the Sin Knock Off the No. 1 Seed RatPack? Can Big Lazo and the Sin Knock Off the No. 1 Seed RatPack? Our first final four game should be a good one as the No. 2 seed Las Vegas Dealers take on the No. 3 seed Las Vegas Bones. This will be the fourth matchup between these two teams and the Dealers have the edge this season so far 2-1. The Bones though have the momentum right now. They have won four straight games and in their last meeting against the Dealers a few weeks ago they dominated them by a score of 117-68. I don’t think this game will be that big of a blow out this time around but you have to like the Bones chances in this one especially with the win streak they are riding. GM Jonathan Mawhinney has done a tremendous job of righting the ship for the Bones and turned a season around that looked like it was going nowhere. Mawhinney has gotten his team to show up and they are now playing the most complete basketball in the league. The father/son combo of Max Hooks and his son Max Miller-Hooks IV have been the backbone of this team and newcomer Landon Cooper has been quite impressive in his first season averaging 23.7 PPG. Don’t forget about Grant Lewis, Mr. Double-Double I like to call him and the Bones are a force to be reckoned with. If the Bones can contain Devin Dunn, Bryan Lebo, and Justin Stewart in this one I believe they will have no issues punching their ticket to next week’s title game. The Dealers will not go done without a fight and look for Lebo and Dunn to keep this one close for most of the night before the father/son duo take over down the stretch. The Bones move on to the title game. Our final game of the night has our two MVP candidates going head to head one last time this season. Bobby Mears of the RatPack and John Lazosky of the Las Vegas Sin. Mears is the heart and soul of the RatPack which opens things up for the rest of the team especially Nathaniel Burgess and Bohao Li. Lazo is putting up video game numbers for the Sin this season averaging 42.4 PPG, 12 REB, on 64 percent shooting, and 50 percent from deep. This is also the fourth meeting between these teams and the RatPack is 2-1 with their loss coming in week seven 95-91 when Mears was not in the lineup. I think this game is going to be interesting to watch. I think Lazo will be ready and is going to put on a show. The key for the Sin though will be who will provide the scoring when Lazo doesn’t have the ball? Marcus and Barrington Milner have to be aggressive and look to get going early. They have both been in this situation before and they will need to hit the outside shot to help take some of the load off Lazo. The Ratpack just have to play their game I am thinking. Bobby Mears and Nathaniel Burgess are averaging a combined 62.2 PPG and they both are going to cause a lot of problems for the Sin. I think these two will go bucket for bucket with Lazo but you have to give the RatPack an overall advantage in this one based on the rest of the supporting cast. Bohao Li averages 15.5 PPG and do not sleep on Anthony Khotsikian tomorrow night as he could do some damage from inside and outside. I think Lazo is going to score and score in bunches but when the dust settles the Ratpack will have too much for the Sin and my preseason prediction of the Las Vegas Bones taking on the Las Vegas RatPack in the title game will come true next week.